If you’ve ever bought concert tickets from one of the big online companies such as Ticketmaster, you may have felt a little aggrieved at the various add-on charges throughout the booking process. There’s service charges, building facility charges, processing charges, shipping charges and even e-ticket convenience charges – and yes, a charge for the privilege of printing off your own ticket at home. The final chargeable sum can be as much as a third more than the advertised face-value fee, once you factor in the various commissions and charges.The music industry is crying out for changes to the ticketing system, but thankfully, revolution is in the air. We last reported on Finnish startup GigsWiz back in February, just as the ‘social ticketing’ company was launching Stateside. In a nutshell, GigsWiz.com provides ticketing and social media marketing tools for event and festival organizers. It gives promoters the ability to reward artists based on the ticket sales they generate online, by informing their fans about the gigs actively on Facebook, Twitter and other direct-to-fan channels. The Next Web caught up with GigsWiz this week at the Aalto Venture Garage, a seed accelerator in Helsinki, and the company’s co-founder Juuso Vermasheinä had an interesting update. Juuso said that at least 50% of ticket inventories are unsold each year, and solving this problem is a major challenge for performing artists. But he has just the solution – a fan loyalty program. GigsWiz had been doing the ticketing for The Magic Loungeabout festival in the UK where 80s favorites The Human League is a headliner act. 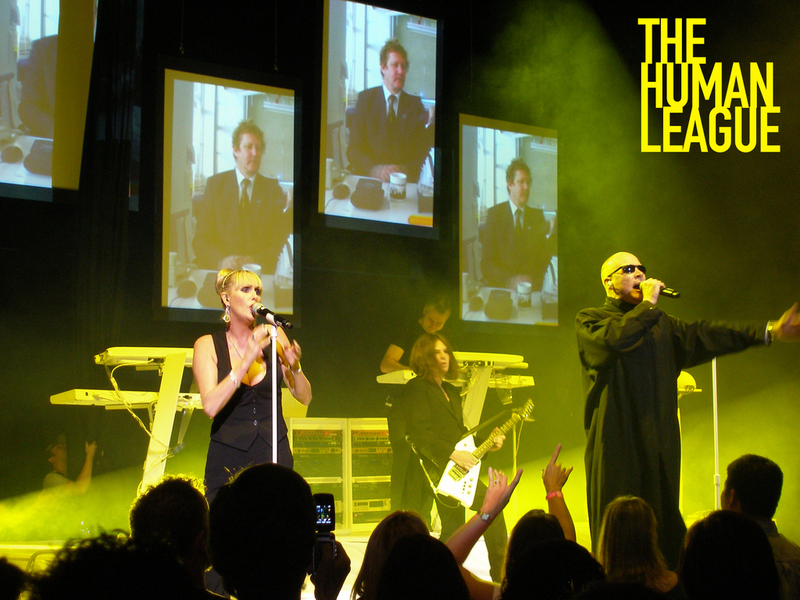 Initially, The Human League was approached by GigsWiz with the standard GigsWiz ticketing model, which gives the artists a 5-20% reward on all ticket sales they help generate. Subsequently, GigsWiz entered into lengthy discussions with The Human League’s manager who really liked the model and philosophy, but it seems that the band wanted to pursue something different on top of the main offering. The guys at GigsWiz brainstormed several different models with the band, management and event organizers, and in the end developed a model that ensured all parties involved benefited. So – how will it work? 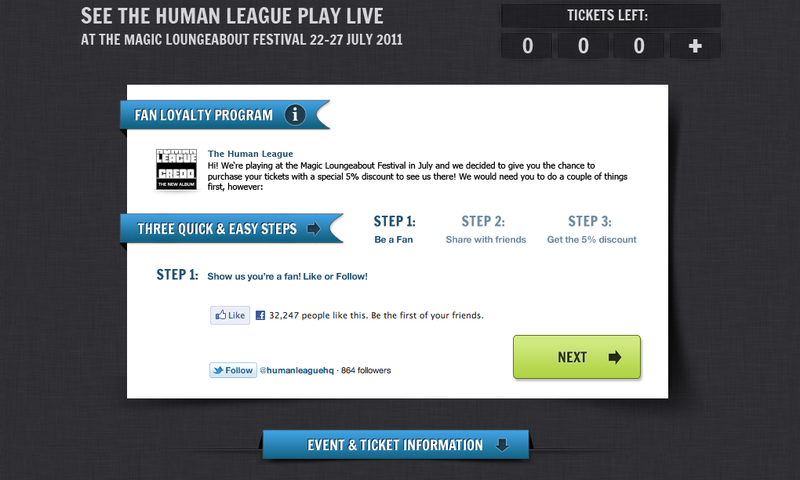 The Human League will reward fans with discounted tickets while also picking up new online fans and followers by utilizing GigsWiz’s Fan Loyalty Discount Program. The program enables artists to pass on their reward to their fans as a discount on the gig or festival tickets. The whole ethos behind the initiative is to enable artists to give back to their fans, whilst securing new Facebook fans and Twitter followers in the process. The pilot will also be offered to other selected artists over the summer. This is a much-needed boost for the ticketing industry, and we look forward to seeing how successful the pilot proves. We hope to catch up with GigsWiz further down the line to see how it’s progressing.